Richard J. 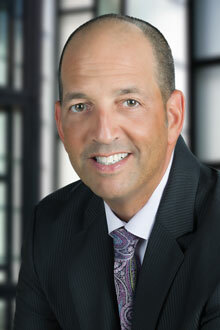 Block is a partner in the Fort Lauderdale office of Lewis Brisbois and is a co-chair of the Immigration Practice. Richard has focused his practice on business immigration law for the past twenty years. He advises foreign nationals seeking to work in the United States, in addition to foreign investors, and domestic and international companies who wish to hire the most highly skilled individuals from around the world. Specialties include obtaining E-1 and E-2 visas, H-1B visas, L-1A and L-1B visas, O visas, TN visas, consular processing, and employment-based immigrant visas in all different categories and naturalization. He also counsels clients on compliance with ever-changing employment laws regarding foreign workers, including I-9 training and audits. Richard, who is fluent in spoken Japanese, also served as General Counsel for a large multi-national corporation based in Tokyo, Japan with worldwide operations and has handled all immigration matters involving the transfer of Japanese nationals from the parent company to the U.S. Author, “President Obama’s Executive Action on Immigration,” JD Supra, December 2014. Author, “President Obama Slated To Overhaul U.S. Immigration Policy,” JD Supra, November 2014.